When the horses run today in the Belmont Stakes in New York, there will be some empty seats in the press box. 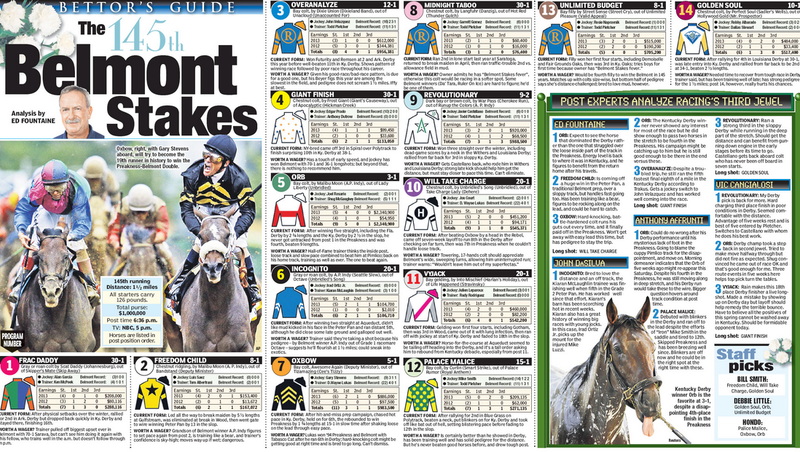 Just days before the running of the prestigious horse race, the New York Post fired all its racing reporters, according to a story in the Daily Racing Form. Here’s my guess: the Post, which is owned by Rupert Murdoch’s News Corp., was included in the print half of the company that Murdoch recently spun off in order to protect his more-lucrative broadcasting properties from the legal and financial catastrophes that his print properties have brought upon themselves. So, among the money-losing print properties, the strategy seems to be to slash costs by getting rid of reporters. That seems like a bit of egregious cruelty. They shoot horses, don’t they?